All HALTI’s now feature padding on the nose band, either leather (available only in black) or neoprene (available in black or red). 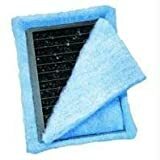 Each HALTI comes complete with a free HALTI safety link and a comprehensive training guide. 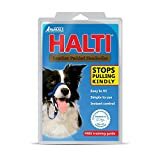 There is also a multi-functional HALTI Training Lead available, which is made from super-soft material and lovely to hold. Each preassembled rite size has a patented ribbed back that evenly distributes carbon for. ;No bypass, no tea bag effect. ;No messy assembly required. ;Changes in an instant.